Kayla, a 30 year old female orca has died suddenly at SeaWorld in Orlando, Florida. 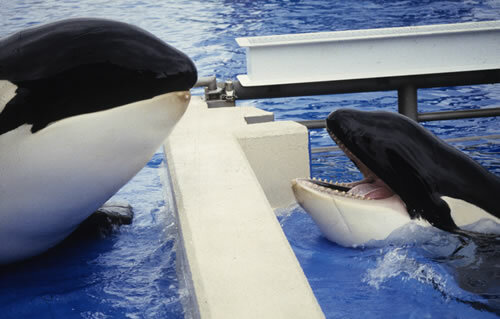 Kayla died at a far younger age than would have been expected of a wild orca. Dying at 30 is not normal for an orca in the wild – they can live for 80 to 90 years. Kayla's father was an orca captured from the wild in Canada and her mother captured near Iceland. In nature, these two very different types of orcas would never have encountered one another. Tragically, Kayla spent her entire life in a small concrete tank in captivity. She never experienced life wild and free in the ocean. Kayla had one daughter, Hayln but she died in captivity when she was only two years old. Kayla did not know how to take care of a baby as she had not spent time in the wild with her mother, aunts and sisters, learning how to. SeaWorld have not yet announced why Kayla died so suddenly, unexpectedly and prematurely.